Pests are animals that can be destructive to human life, property, crops, and other animals. And throughout the history of America, there have been a lot of insect and mammal species that have wreaked havoc throughout the country. These are some of the worst animals that have made their home in the United States. Normally, raccoons would not be a problem for most people. However, since there have been a lot of encroachment into the habitats of raccoons, there have also been a lot of problems with them as well. Raccoons can be very destructive, digging through trash and wrecking gardens. These kinds of animals may even find a way into your home! 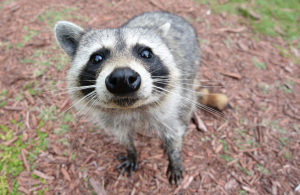 And worst of all is the fact that raccoons commonly carry rabies which can be really dangerous to humans and their pets. This small rodent has been in the United States for a long time. First introduced when the settlers arrived, these rats have since spread to all of the states; they can even be found as far as Hawaii and Alaska! This invasive mammal will eat anything made of wood and other small animals. So they can be a problem for your home and the environment as well. Norway rats also carry a lot of disease with the ticks that they have and in their poop as well. These insects are a terrible epidemic sweeping across the nation. If you have got a bed bug infestation at home, you would find it very difficult to get rid of them. Not only can they breed and live in your mattress, they can also live in your carpets and clothes as well. The itchiness that they cause can be a huge nuisance and affect your sleep. And there are even certain kinds of bed bugs that can carry diseases as well. 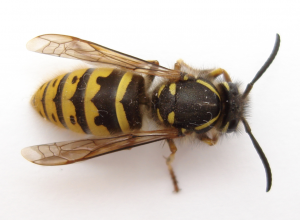 Unlike bees, yellow jacket wasps are truly terrible insects. They do not pollinate plants and nor do they benefit garden in any way. These insects even make nests inside of your home. So you could potentially have some kind of wasps problem that could endanger anyone living in your home. Wasps can also sting multiple times, and their stings are also really painful and could cause death in people who are allergic to them. And they may even chew through wood, so wasps can also affect a building’s structural integrity as well. Garden aphids are the scourge of many gardeners. If you have got a garden in your home, you would find that they could really hamper the way your plants grow. Aphids are kind of like the mosquitoes of your garden plants. And while these pests may not be the most dangerous to humans, you would find that they are widespread and cause a lot of damage to gardens and even farms as well. In fact, a lot of gardeners and farmers actually spend a lot of money and time to try to get rid of aphids completely from their plants. And the worst thing about aphids is the fact that they are found all over North America.